A stubborn fire illuminates the sky as a Mt. Washington home ignited Thursday evening. Story below. Photo by Harry Garvin. Only a few hours into Saturday morning, Light Force (the combination of a truck and engine responding to an incident together) 75 was responding to a car fire in North Hills at 2:05 a.m. Upon their arrival, crews found the front-end of the vehicle filled with flames and immediately jumped into action. 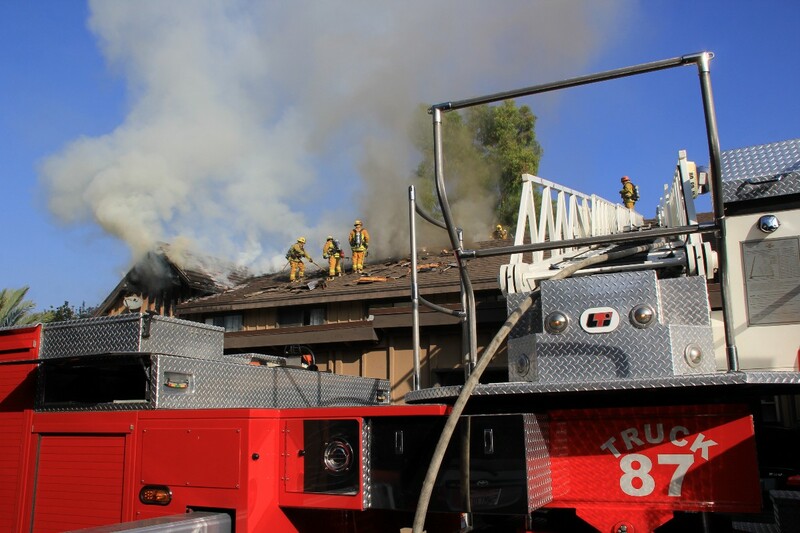 Later that morning, crews battled a two-story condo fire in the 9600 block of N. Amigo Ave. in Northridge. 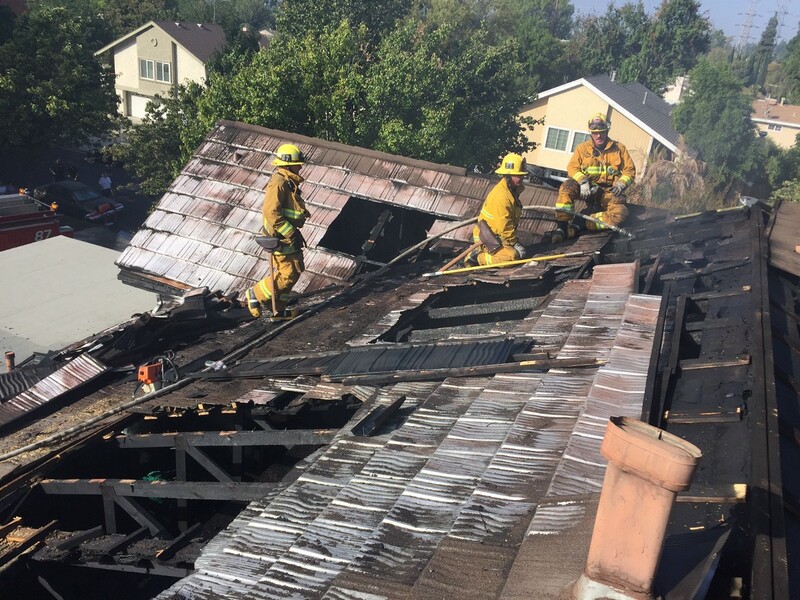 Responding at 9:19 a.m., 75 firefighters attacked the heart of the fire in the common attic of the structure above two living spaces and worked over the next 26 minutes to extinguish the flames, preventing them from spreading below. No injuries were reported and all occupants were out of the building during the fire. LEFT: Crews are met by a wall of flames atop roof. RIGHT: Getting the upper-hand, firefighters continue their push to extinguish the flames. Photos by Greg Doyle. LEFT: Crews properly ventilate the roof. Photo by Patrick Butler. 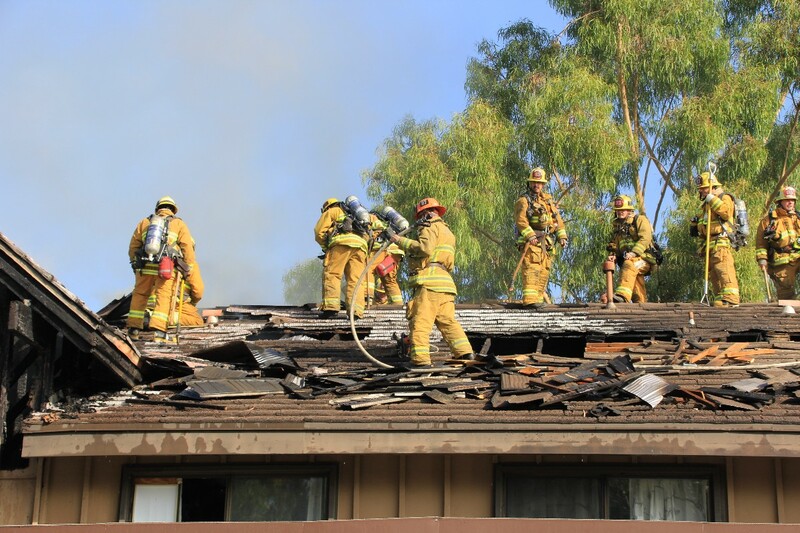 RIGHT: Crews working along the roof Photo by Greg Doyle. Over on Crenshaw Boulevard, there were so many smiles as more than 350,000 people enjoyed the sights, sounds and tastes of the annual Taste of Soul Family Festival. Not only participating in the event with active displays of apparatus and paramedic equipment, the LAFD also had their Bicycle Medic Program on hand to ride up and down the Boulevard should any assistance be needed. 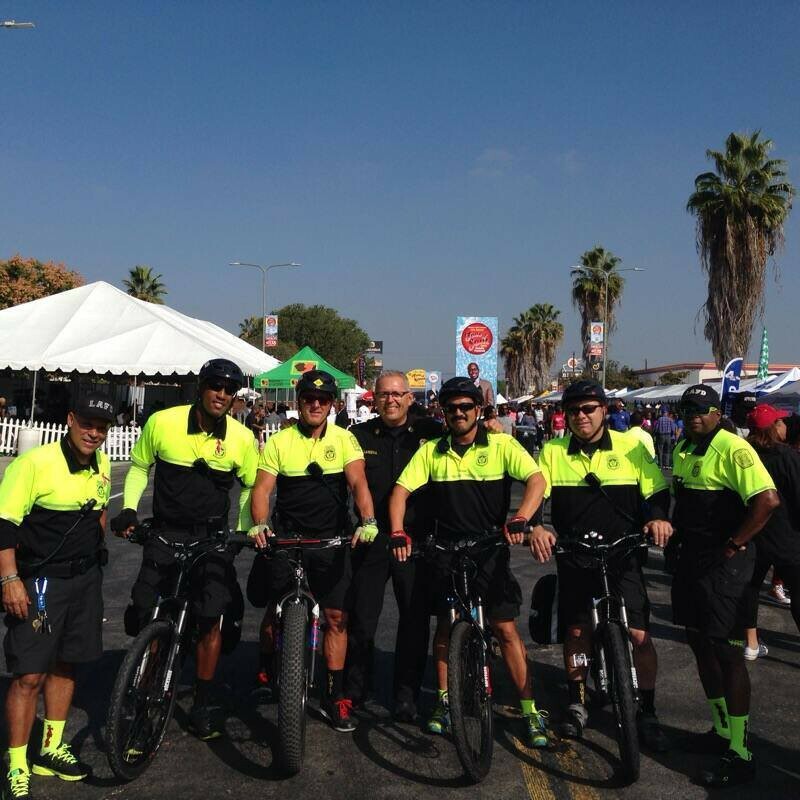 LEFT: Members of the LAFD Bicycle Medic Program gather for a group photo before the start of the event. 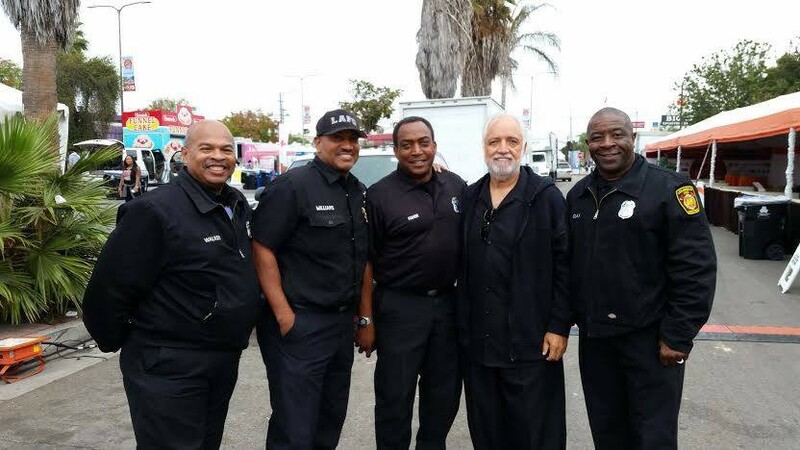 RIGHT: LAFD personnel pose with Taste Of Soul event creator Danny Bakewell, Sr. Photos by LAFD South on Facebook. A bird’s eye view of the festival. Photo by LAFD South on Facebook. Some 400 miles to the north, the LAFD color guard took part in the annual California Firefighters Memorial located in Sacramento’s National Park. Hosted by the California Fire Foundation, the memorial service took time to honor fallen firefighters and their families from across the state for their sacrifices. Two of the fallen honored by the LAFD during this event included Gary M. Stameisen and Steven L. Robinson, both LAFD firefighters lost within the last six years. 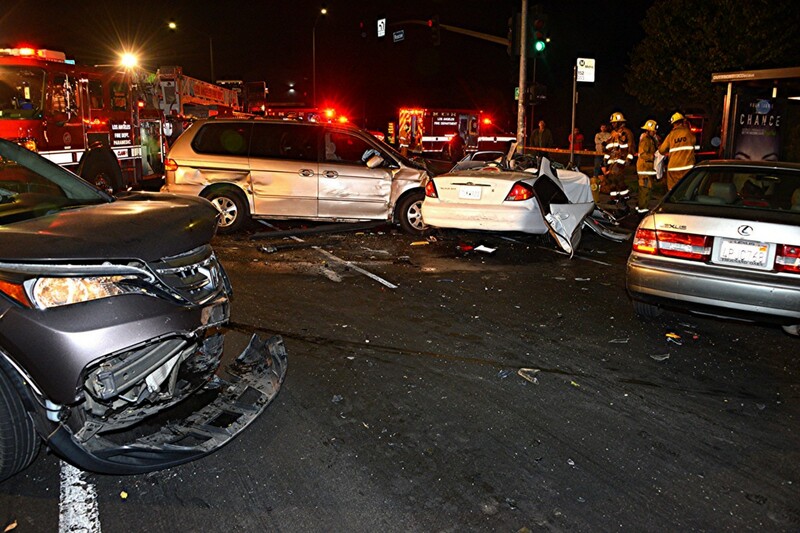 Later that evening, back in Southern California, LAFD crews raced to the scene of a multi-vehicle collision in the 16100 block of W. Roscoe Blvd. at 9:20 p.m. in North Hills. 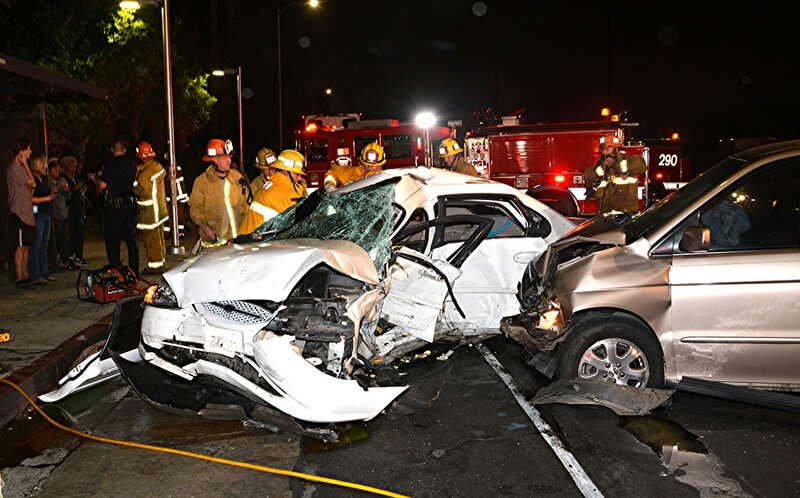 Despite their prompt response, one fatality occurred while two other patients were transported to a local hospital in good condition. A series of photos showing the cars involved in this multi-vehicle accident. 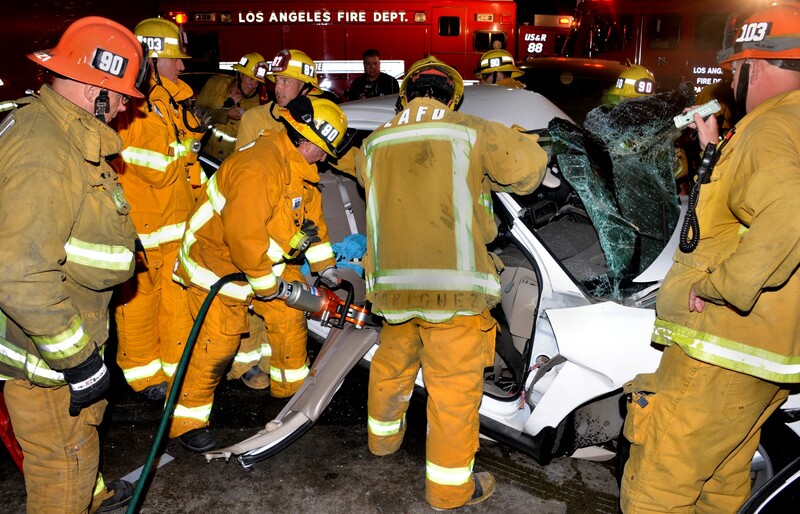 LAFD firefighters and Urban Search & Rescue crew members work to reach a patient trapped inside one of the damaged vehicles. Three photos by Rick McClure. 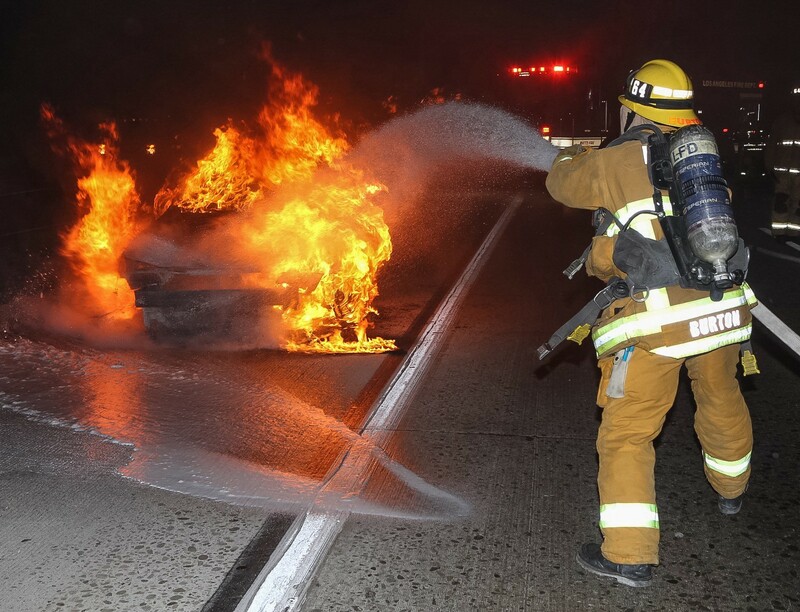 Meanwhile, over in South Los Angeles, firefighters from Engine 64 had to briefly slow traffic on the Harbor Freeway (I 110) Freeway as they extinguished a vehicle fire in the southbound shoulder near Redondo Beach Boulevard. A firefighter from Engine 64 douses the flames with water. Photo by Tod Sudmeier. 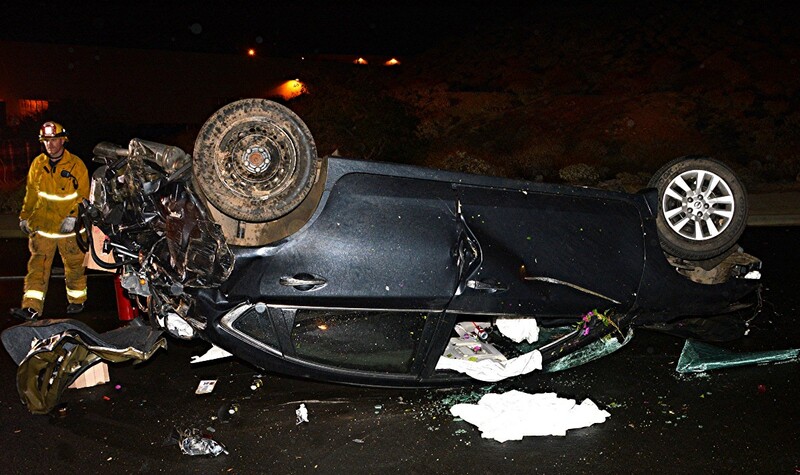 At 3:35 a.m. Sunday morning, a sedan traveling on the westbound I-210 west of Yarnell Street tumbled from the freeway and landed upside down — trapping the driver. 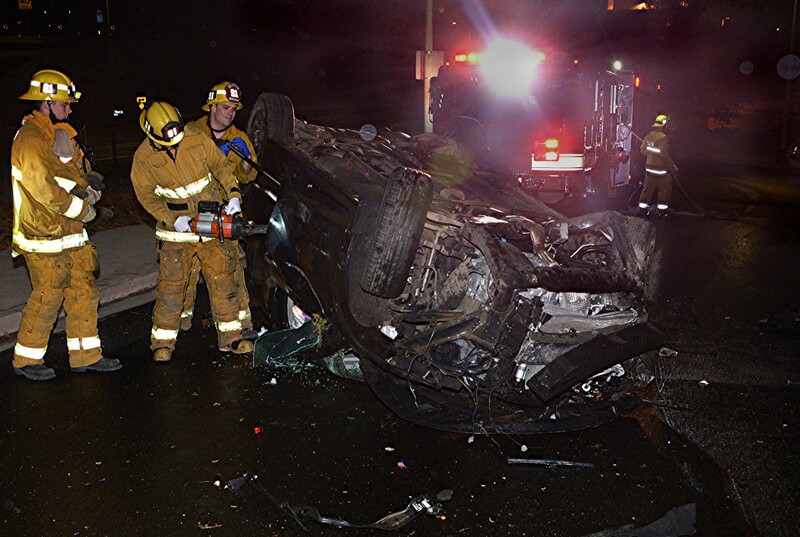 Racing to the 16200 block of Filbert St., LAFD crews were able to quickly extract the man, who escaped any major injuries, and transported him to a local hospital for further evaluations. A series of photo showing crews working to free a man trapped inside the overturned vehicle. Two photos by Rick McClure. Everyone (right?) knows that firefighters are some of the best cooks around. 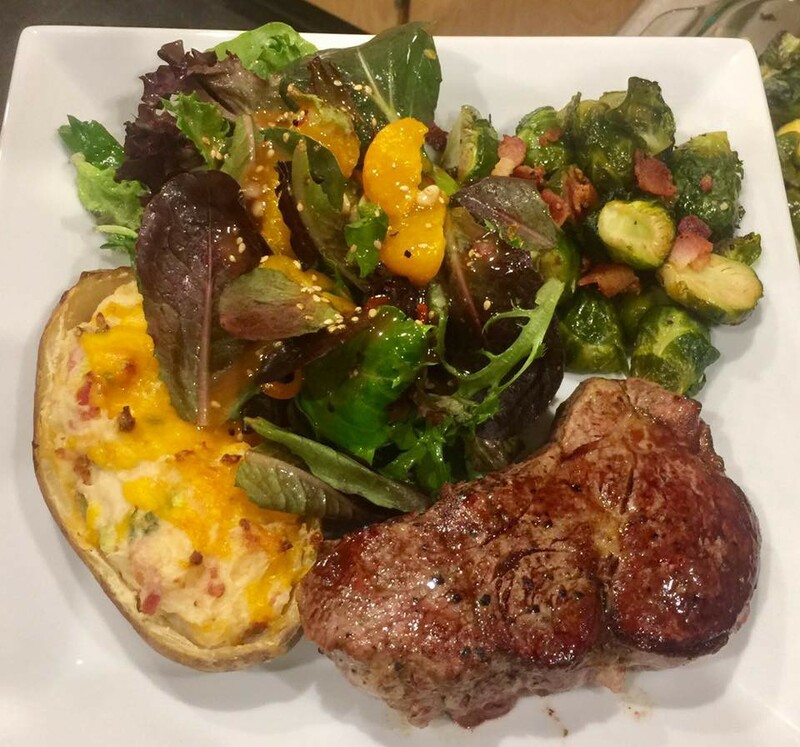 The crew of Station 99, located in Beverly Glen, showed their skills Sunday afternoon as they prepared and served a spectacular meal for the winners of Fire Service Day. 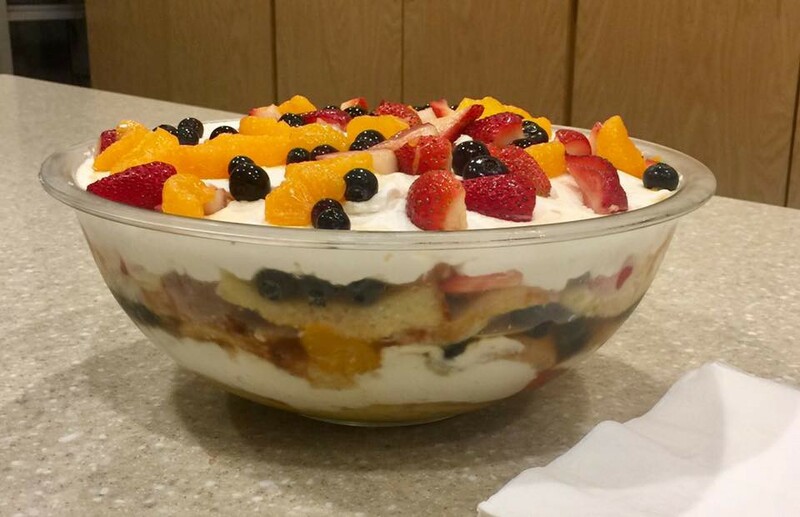 A pair of delicious items created by the crew of Station 99 during Fire Service Day. 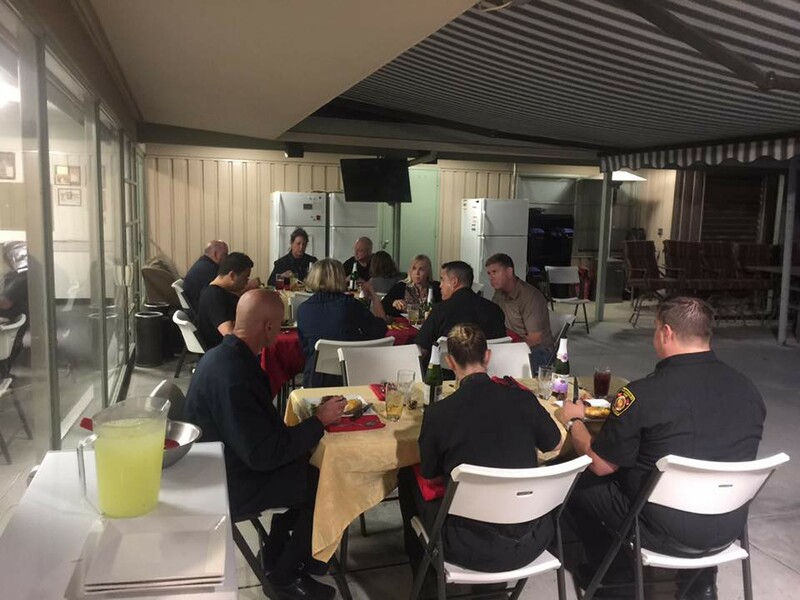 LAFD commanders in attendance enjoy lunch. 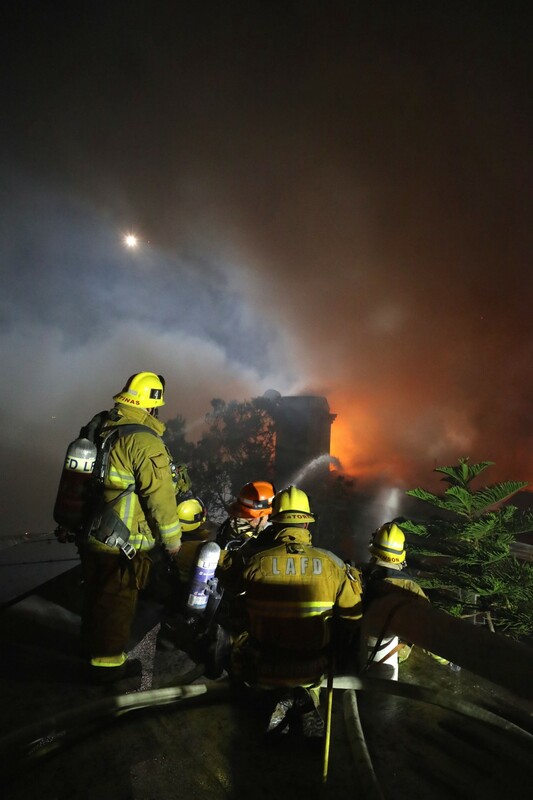 Three photos by LAFD Valley on Facebook. As one chapter closes for our recent graduating classes from their respective Drill Towers, a new one is just beginning for the classes of 16–1 and 15–06. 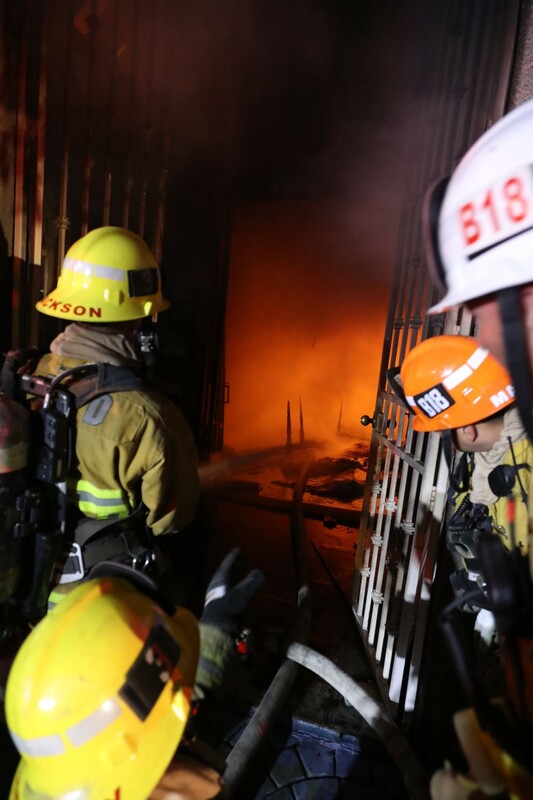 Throughout this week viewers were given a behind the scenes look at what it’s like to train at an LAFD Drill Tower from early morning to late at night. 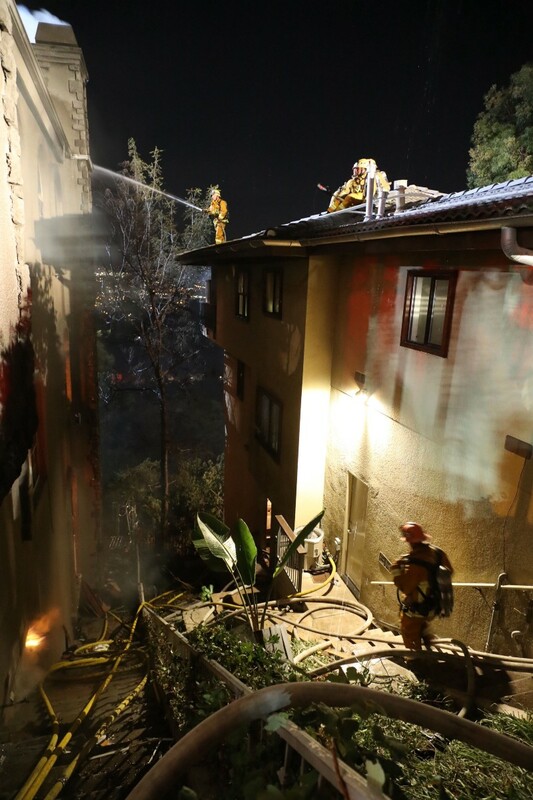 At 7:05 a.m., just as the sun was beginning to come up, the LAFD responded from the ground and air to rescue a 15-year-old girl in distress reported somewhere in the rugged hillsides of Pacific Palisades. 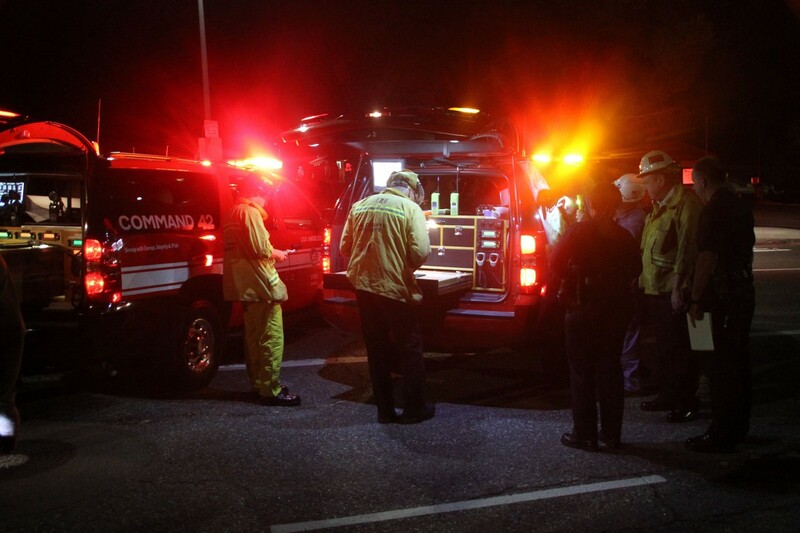 Located near the Temescal Ridge Trail, the young girl appeared to have been in the hills overnight and was evaluated by a firefighter/paramedic before being hoisted to safety by an LAFD helicopter. 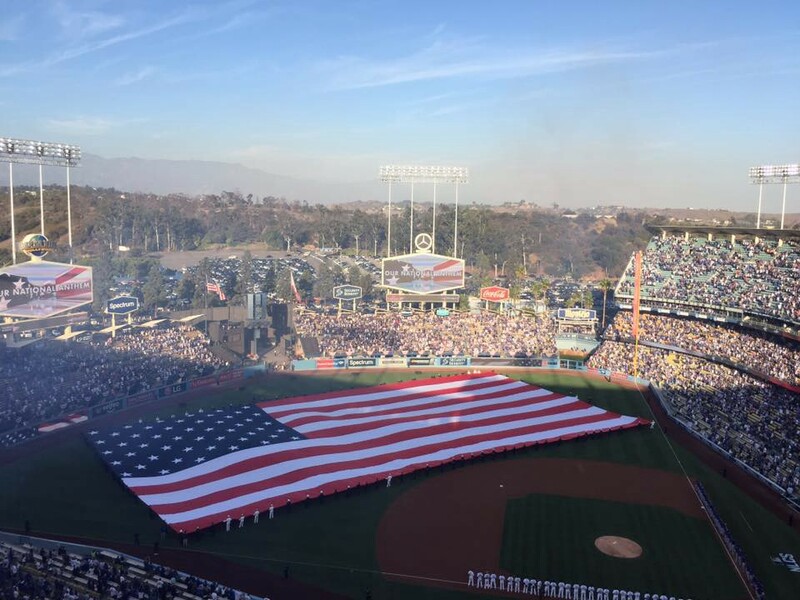 As the Los Angeles Dodgers continue to push through the postseason, the LAFD is right behind them. Rescue 13 was one of the tasked with ensuring public safety during Tuesday night’s game should any medical assistance be required. 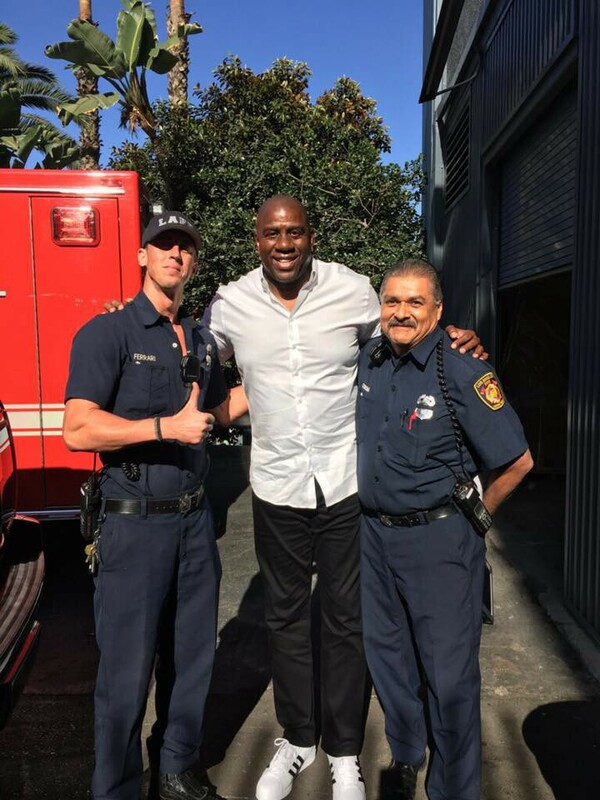 During their work in pregame hours, the two-man crew was visited by Dodger co-owner Magic Johnson. Photos by LAFD Central on Facebook. Sparking in the dense, brush-covered hills of Porter Ranch at 9:18 p.m., the Sesnon Fire would call for 100 LAFD firefighters to assist neighboring L.A. County Fire Department forces working under a unified command throughout the night as they fought to contain the flames. Driven by winds topping 40 MPH at times, the most aggressive attacks came from the air due to the hard-to-reach terrain. 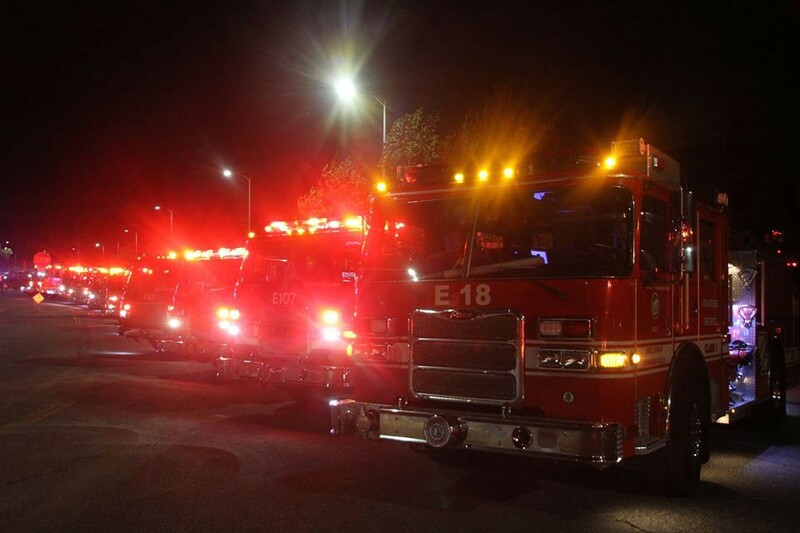 LAFD apparatus from throughout the San Fernando Valley stage along Sesnon Boulevard as they wait for the call to be sent in if needed. LAFD and LA County Fire Department commanders coordinated the attack on the fire. Three photos by Greg Doyle. As hot spots from the Sesnon Fire continued to be extinguished, a new brush fire was reported in the 1700 block of Sesnon Blvd. in Granada Hills at 1:12 p.m. prompting the response of nearly 100 LAFD firefighters. 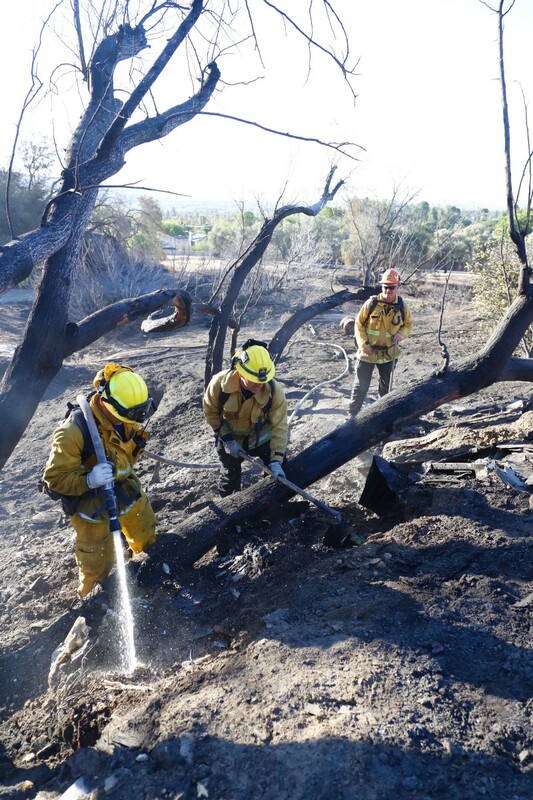 Quickly attacking the flames with many of the same resources used against the Sesnon Fire, including those assisting from the L.A. County Fire Department, units from both the ground and air worked tirelessly to contain the fire to five acres in 55 minutes. 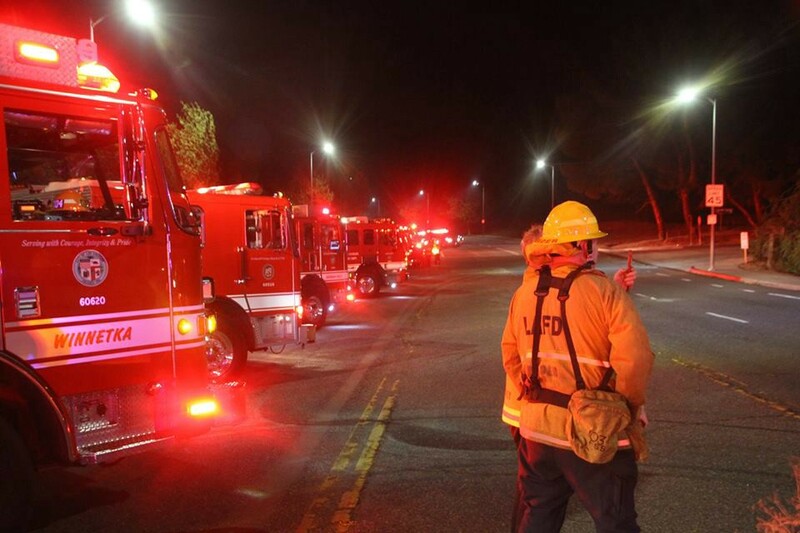 Less than an hour later, 150 LAFD firefighters from the ground and air joined a total of 500 personnel from the L.A. County Fire Department, U.S. Forest Service and LAPD in battling a brush fire in the 11000 block of Terra Vista Way in Lake View Terrace. Called in at 2:31 p.m., the Lake View Terrace Fire quickly spread thanks to a rich supply of medium brush and strong winds. After scorching a total of 62 acres, the fire was finally brought to a halt at 4:37 p.m. — some 2 hours after it had begun. No structures were damaged or injuries reported. 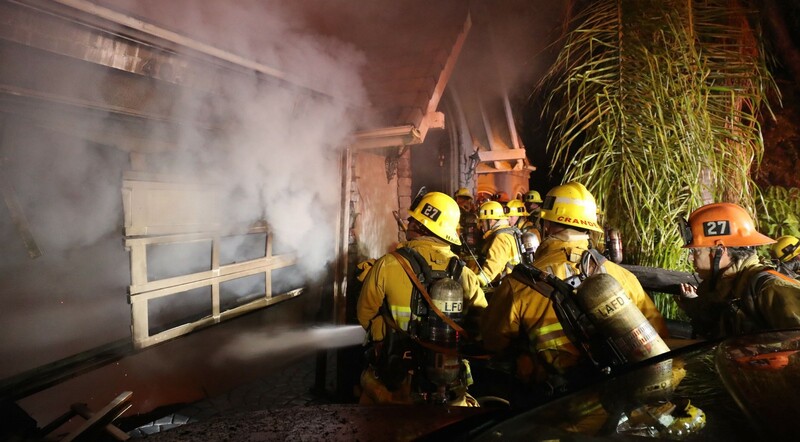 LAFD crews continue to hit hot-spots Thursday morning, assuring that the fire is completely out. Photos by Harry Garvin. 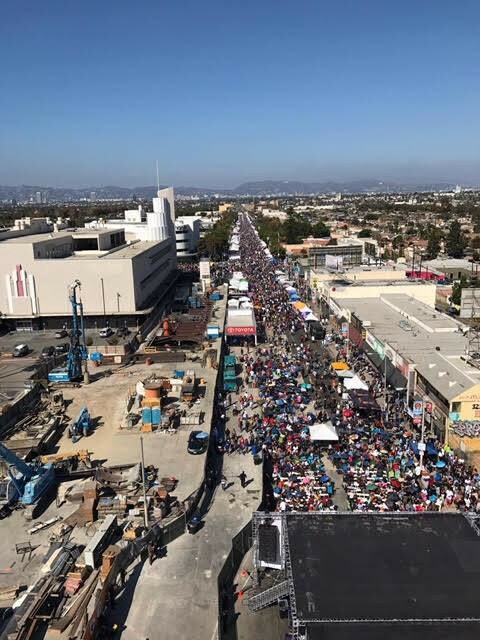 At 10:20 a.m. on October 20th, more than 10.6 million Californians participated in the Great California Shake Out, with roughly 3.5 million of those people located in the greater Los Angeles area alone. Working closely with Mayor of Los Angeles Eric Garcetti, LAFD Fire Chief Ralph Terrazas participated in a morning press conference that focused on the joint efforts of the City of Los Angeles and LAFD to prepare for the next major earthquake and the progress that has been made areas across the city already. At the same time, numerous LAFD resources across the Los Angeles basin visited schools to help students and staff also prepare for the next earthquake while gaining first-hand experience on situations themselves. 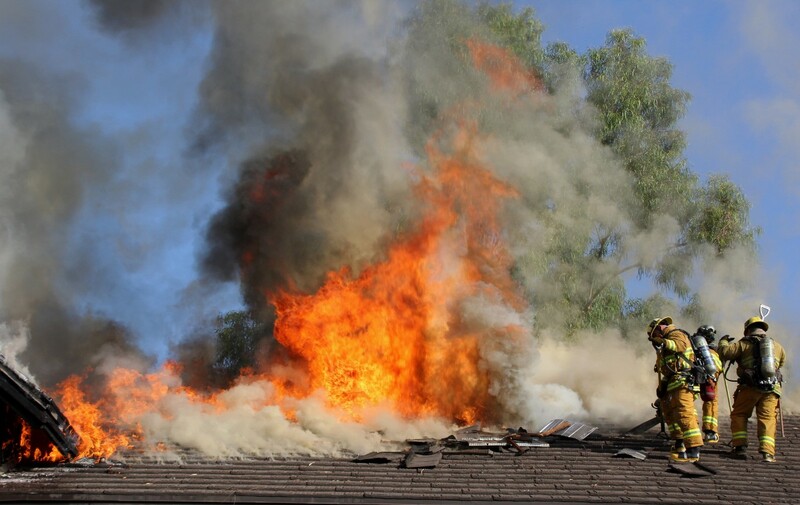 Amid record-high heat and increased fire risks throughout the region, Los Angeles City Councilmember Mike Bonin and Los Angeles Fire Chief Ralph Terrazas demonstrated Thursday how new technology is helping Los Angeles firefighters save lives and protect property in neighborhoods. An example of WiFire, which helps predicts the rate and speed of fires. 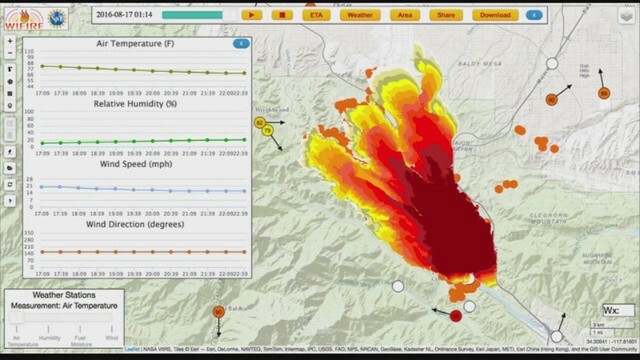 The tablet-based app (called “WiFire”) demonstrated by Bonin and Terrazas is state-of-the-art technology developed by the University of California San Diego, in collaboration with the LAFD, that performs data-driven predictive modeling and analysis of fires that have a high potential to rapidly spread. The technology allows first responders to get ahead of a fire and evacuate people in harm’s way. Scores of firefighters ascended a narrow Mt. Washington street late Thursday night after a 9,111-square-foot home ignited. Stubborn flames illuminated the night as 143 firefighters worked for hours to contain fire to the one structure. As of this writing, one person remains unaccounted for. #LAFD Friday — Vintage equipment edition.